Just when we thought Google’s Nexus program was the endgame of their electronics device venture, the search giant’s leap into the smartphone market rocked the tech industry! Last October 4 in San Francisco, Google launched their next flagship phone – PIXEL! 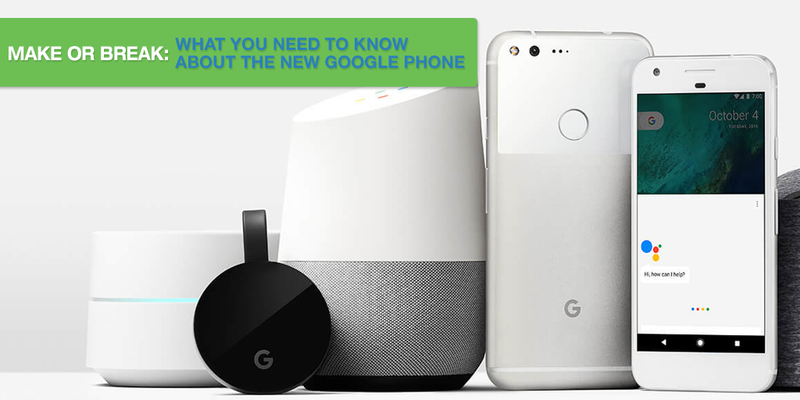 This leaves a lot of smartphone users asking whether the new google phone is the next generation for smartphones. Since the Pixel phone by Google has not been released in the market yet (whisper: expected release is this October 2016! ), here are the features of the new smartphone that we GOOGLED just for you. Pixel’s fast charging time looks like a candidate for the leading player in helping smartphone users live a productive and fast-paced lifestyle! Still, that’s what they promise; we can’t wait until we try it. 2) The highest rated camera smartphone ever! Google calls their phone’s 12.3 megapixel camera the “BEST SMARTPHONE CAMERA EVER MADE.” No joke! They also claim their camera speed is a lot faster saying they got “the shortest capture time on any mobile camera ever.” During the launch, a demo showed a user recording a video as they walked down a street suggesting the stabilization technology records images smoothly. Now, Google is making a breakthrough statement, and we hope it just doesn’t stay as a statement when the Pixel phone is out in the market. 3) Unlimited storage for photos and videos. Yes, Google allows Pixel users to have free unlimited storage for FULL-resolution images and videos! All this thanks to Google’s cloud system! This also includes the 4K video – meaning you also get to save ultra high definition videos! Google is definitely giving us a lot to drool over: this unlimited storage is for free! This is just heaven for a camera roll hoarder! 4) They still keep jack! Keeping it real pop! Google is ready to make Pixel available in three colors! Plus, they come in two screen sizes, 5-inch and 5.5-inch. Here’s more: the phone has the rear-mounted fingerprint scanner popular with other Android handsets, meaning it sits below the camera and flash at the back. Yes folks, Google is branding it as their very own design! Speaking of new phones in the market, we got authentic and pre-loved gadgets that you can check out at the newest online shopping store, Marketplace.ph. If you want to get a little extra cash, just visit PawnHero website to learn more. Plus, get the pawnshop into your phones by downloading the PawnHero app here. Don’t forget to like PawnHero Philippines and Marketplace by PawnHero on Facebook to get updates, games and exciting cash rewards.